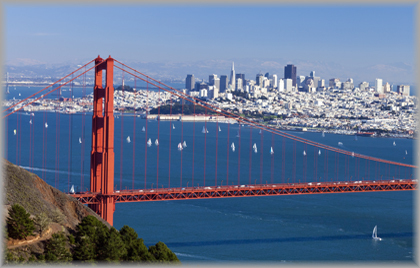 Effective February 14, 2014, the City of San Francisco adopted changes to the Police Code, Article 49, that will impose, among other things, restrictions on employers in the city from asking about and using criminal history information. Section 4904(c): The Employer shall not require applicants or potential applicants for employment, or employees, to disclose, and shall not inquire into, their criminal history or an unresolved arrest until either after the first live interview with the person (via telephone, video conferencing, use of other technology, or in person) or, at the Employer’s discretion, after a conditional offer of video conferencing. Section 4904(d): Prior to any criminal history inquiry, the Employer shall provide a copy of the notice to the applicant. This will be described in Section 4905(b) below. Section 4904(f): In making an employment decision based on an applicant’s or employee’s criminal history, an employer shall conduct an individualized assessment, considering only directly-related convictions, the time that has elapsed since the conviction or unresolved arrest, and any evidence of inaccuracy or evidence of rehabilitation or other mitigating factors. Section 4904(g): If an employer intends to base an Adverse Action on an item or items in the applicant or employee’s criminal history, prior to taking any Adverse Action, the Employer shall provide the applicant with a copy of the background check report if any. The employer shall notify the applicant of the prospective Adverse Action and the items forming the basis for the prospective Adverse Action. Section 4904(h): If, within seven days of the date that the notice described above, is provided by the employer to the applicant or employee, the applicant or employee gives the employer notice, orally or in writing, of evidence of the inaccuracy of the item or items of criminal history or any evidence of rehabilitation or other mitigating factors. The employer shall delay any Adverse Action for a reasonable time period after receipt of the information. During that time, the employer shall reconsider the prospective Adverse Action in light of the information. Section 4905(a): Solicitations or advertisements for employees are reasonably likely to reach persons who are likely to seek employment in the City. The Employer shall state in all solicitations or advertisements for employees that are reasonably likely to reach persons who are reasonably likely to seek employment in the City, that the Employer will consider for employment qualified applicants with a criminal history in a manner consistent with the requirements of this Article. Section 4905(b): The OLSE shall, by the operative date of this Article, publish and make available to Employers, a notice suitable for posting by Employers. This notice will inform applicants and employees of their rights under this Article in the workplace. And, written in English, Spanish, Chinese, and all languages that are spoken by more than 5% of the workforce. The OLSE shall update this notice on December 1 of any year. Even if, there is a change in the languages spoken by more than 5% of the San Francisco workforce. A description of the restrictions and requirements that Section 4904 imposes on Employers when inquiring about criminal history. Also, what connection it has with an employment or hiring decision. The OLSE telephone number and email address that the applicant or employee may use to make a report. This is in case he or she believes the Employer has violated any of the provisions of this Article 49. This law will require a review of the hiring process & authorization in place and may require changes to that process. It will also require posting specific information provided by City in your place of business. In order to comply with this law, Justifacts recommends that you consult with your legal department. This helps your company determine what changes, if any, need to be made to your hiring process.